In prior alerts, we felt it our public duty to identify strategic-scale disaster response exercises. These military style operations have an inherent potential to be covertly hijacked and turned into false flag operations. The 9-11-01 World Trade Center attacks and the 7-7-05 London subway bombings employed concurrent major exercises that “went live”! Operation Vigilant Shield, running from Nov 12-18, 2008, is much too big to ignore, as it will link multiple concurrent exercises including USSTRATCOM Global Lightning 09, Bulwark Defender 09, Canada Command Determined Dragon, California National Guard Vigilant Guard, and State of California Golden Guardian. Unfortunately, according to USNORTHCOM, specific information about Vigilant Shield scenarios will not be available for weeks, permitting less time to analyze the situation. Once an urban area has been designated an exercise target, that designation increases its odds of actually experiencing a future false flag attack. It takes considerable resources to corrupt an area, and false flag insiders like to get a return on investment. Since Houston, Chicago, Portland, Seattle, and Phoenix have already been “prepared” in prior exercises, they remain especially vulnerable. In addition, Vigilant Shield will probably add new areas in northern California to the potential target list. The recent $700 billion Wall Street bailout underscores America’s walk along an abyss at every level. Bush cabal neo-cons are committing ever more reckless acts as they see their time of formalized power drawing to a close. We have all heard and seen the continuous drumbeat of Iran-related war rhetoric, the evidence of U.S. involvement in the Aug 8, 2008 Georgian attack on South Ossetia, the cross border air strikes that infuriate Pakistanis, and the trampling of American civil liberties in preparation for a possible martial law clamp down. 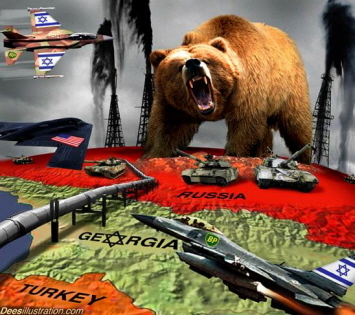 The situation has now become so unstable, and the pressures so great, that many leaders around the world think it is more a matter of when rather than if the U.S. will launch another aggressive war some time either before or after the 4 November presidential election. Iran, Pakistan, and Syria remain on the potential hit list. Russian Duma Deputy Sergey Markov stated that an attack on Iran could take place to influence the outcome of the U.S. presidential elections. 6Conversely, former UN Ambassador John Bolton predicted that an attack on Iran will likely come after the November presidential election but before George W Bush's successor is sworn in. 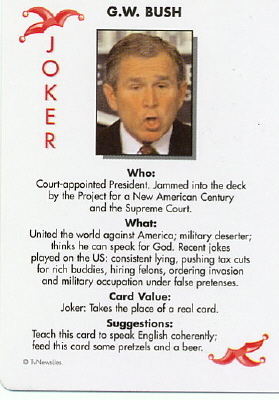 7 This would enable the Bush cabal to provide false flag “training wheels” for an incoming president before he assumes official power. Covert bombing operations can intimidate leaders and move the masses. The recent steady drumbeat of likely CIA-Mossad operations include the 9-17-2008 bombing of the American embassy in Yemen, the 9-20-2008 bombing of the Islamabad Marriott (narrowly missed killing Pakistan’s Prime Minister), the 9-27-2008 bombing in Syria (possibly killing a top Syrian intelligence official), and the 10-3-2008 car bomb in South Ossetia (possibly killing a very senior Russian officer). “U.S. Army Troops To Serve As U.S. Policemen?” by Chuck Baldwin describes how the 1st Brigade Combat Team, 3rd Infantry Division is now under the direct command of USNORTHCOM. 10 The Bush assault on the Posse Comitatus Act of 1878 has cleared the way for a militarized “search and destroy” mentality to replace the more restrained and traditional “to protect and to serve” orientation of local police. Ironically, Russian monitoring of and reaction to US neo-con operations might also deter an attack on Iran or some other country. This may also help defend the American people against criminal war leadership. The $700 billion taxpayer bailout of mortgage lending errors has all the earmarks of an “economic 9/11” inside job. It entails deliberate massive economic destruction that benefits only a privileged few at the expense of most Americans. It also involves deceit so extreme as to constitute a “silent war” against the general citizenry. The central bankers who promulgated the mortgage bubble and bailout have been cut from the same cloth as the Bush Administration neo-cons. Just like the neo-cons who have waged wars in the Middle East to achieve short-term benefits for select Big Oil and Israeli interests, their counterparts on Wall Street have scored short-term profits by manipulating the financial system. In the last few decades, their greed has helped America eat its own seed corn by off-shoring over 75% of America’s industrial base. Their controlled demolition of basic industry—the most productive part of the economy—has also destroyed much of the American middle class, the standard of living, and the value of the dollar. America has now become the greatest debtor nation in the world, highly indebted to foreigners such as the Japanese and Chinese. As foreigners increasingly balk at buying America’s burgeoning debt, the central bank must resort to higher rates of inflation to paper over shortfalls. Meanwhile, foreigners holding American debt become stronger relative to America. They are becoming the new wild cards in the determination of America’s destiny. For more details on America’s distressed economic fundamentals, please see the Grandfather Economic Report.17 Ironically, false flag events were initially designed by neo-cons as a diversion to avoid taking blame for policies that have created economic havoc. If America experiences an economic implosion like the former Soviet Union, it will either no longer be able to afford to wage war, or its leaders will push for war as the only option for survival. This then will either dry up incentives to stage false flag attacks, or amplify their necessity. In view of all of the aforementioned considerations, we believe that a “Red Alert” for the 12-18 Nov 2008 Vigilant Shield time frame, combined with a “High Alert” for the entire period from now until the official end of the Bush presidency on 20 Jan 2009, is fully justified. 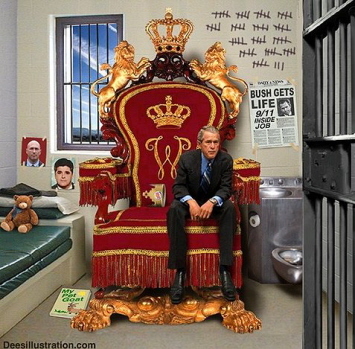 We remain concerned that Bush and Cheney will resort to extraordinary measures to insure their continuation in power. They may even use a false flag attack to suspend the Constitution while claiming that only they are capable of coping with a major crisis. Every one of us is obligated to resist by every means possible any efforts in this direction. Lt. Col. Guy S. Razer is a retired U.S. Air Force Command fighter pilot. Dr. James H. Fetzer and Major William B. Fox are former U.S. Marine Corps officers. Dr. Fetzer is founder of Scholars of 9/11 Truth. Captain Eric H. May and Sergeant First Class Donald Buswell are former members of Army intelligence. For more articles about false flag terror, refer to the archives of Capt. May and Maj. Fox and the selected articles of Dr. Fetzer at www.americafirstbooks.com. 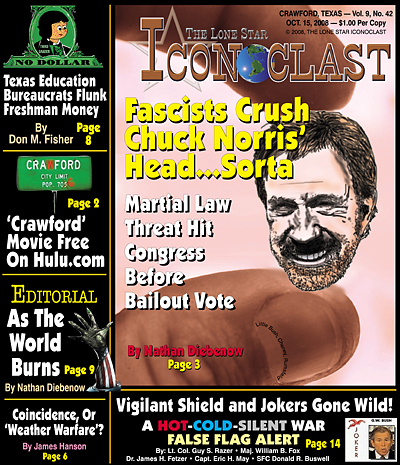 Lone Star Iconoclast archived article link Here.